When AMD launched Ryzen 7, Intel fans liked nothing more than to pick on a few BIOS issues. As of writing, those issues (notably RAM overclock and CPU overclock stability) have been resolved. It was not a surprise to see fans throwing jabs at AMD. However, what has been surprising is the recent attitude of Intel. Especially as to the press and Intel partners, they’ve been very formal the last 5+ years. Now though, they are looking a little more like the baby who has thrown their dummy out of the pram. There’s two parts to this thought about Intel, one of which is their X299 range, the other is their PR team. With that in mind why don’t we take a look at that X299 launch. First off is the artificial removal of features. No matter how their team spins it, having such a range of things like PCIe lanes and recommended RAM speeds just seems on paper to be like a rushed job. They hashed something together, limited features across a range of “new” CPU’s and called it a release. Linus has a great video on this here. We’re getting the sense, though, that the revered Core architecture can’t be pushed much further. That’s downright disturbing for a company who was the only option a few short months ago. I will give Intel the benefit of the doubt here as I feel this is partly down to the range being rushed out. Intel simply had to get something out to try and combat AMD’s upcoming Threadripper range. However, that doesn’t excuse that if I was going to buy a new high performance CPU from Intel, I potentially wouldn’t be safe to overclock it. A CPU that hits thermal limits early even with water cooling isn’t for me. Now that we know what is coming from AMD’s Threadripper and we have Intel’s X299 range, we can get an understanding of how the rest of 2017 is going to play out. AMD clearly have the more competitive package for the price. Their $999 16-core makes them a whole $700 cheaper when compared to Intel’s offering of the i9-7960X. With such a huge price difference, how did Intel’s PR team spin all this? Poorly, with more than a pinch of salt. That’s if I’m being kind to Intel. This is part of an official slide deck from Intel, which was a data center presentation comparing their range to Threadripper. Although you could say it’s more than lazy using big blue ticks in boxes for them, giving themselves full marks against AMD’s angry crosses. Yet the devil is in the detail here. 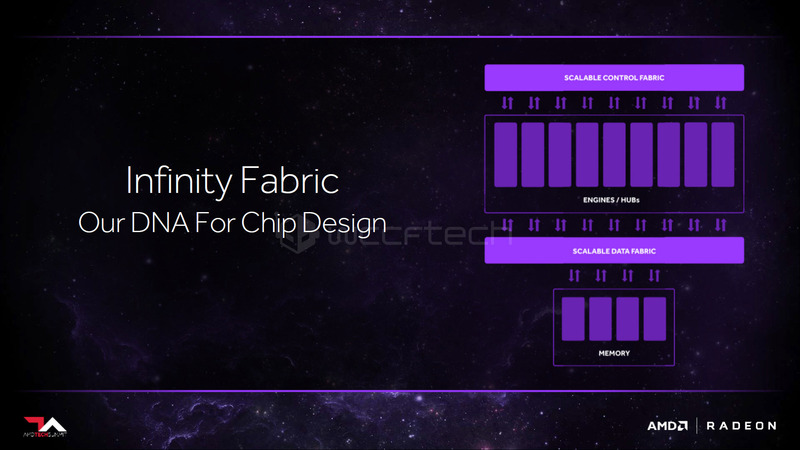 I’m sure AMD are less than happy that their Infinity Fabric technology has been dismissed as “glued-together” desktop die fabric. We could get into how the point of the Zen architecture as a whole is built around scalable systems but that’s not really what’s going on here. I really could go on with this presentation but instead I’ll just say Techpowerup has the full slide deck here and it really just reads like a company clutching at straws. As I mentioned at the start of the article, Intel has been about taking the high road the last 5+ years. Although some people have questioned their business practices, for the most part they have risen above responding. Their releases to partners and press have always been very professional, putting out a serious business image. Yet this whole X299 platform launch, Skylake-X performance issues and their reaction to AMD just looks like a baby throwing their rattle out of the pram. Intel might disagree or be sour that they didn’t come up with things like Infinity Fabric but that’s no excuse for saying AMD has “glued-together” a bunch of Ryzen CPU’s, nor trying to fudge numbers to make their range look better than it actually is for the price. What Intel needed to do was to show they were the better option. It’s all well and good saying they have this proven system performance for servers when their newest CPU range has a lot of well publicised issues. Not only that, but with being more expensive they had to show what you’re getting for that monetary increase. Bottom line, who is going to pay $700 more over the new 16-core Threadripper when you’re getting less PCIe lanes and a more power hungry CPU? Come to think of it, who is going to buy Intel over AMD at the same $999 price at this point? All told, I feel that Intel are in many people’s naughty list. X299 needed to offer something bigger and better for the money but right now it looks like AMD is holding all the cards with having superior performance for the price. I could be wrong though (wouldn’t be the first time either). What do you think about Intel’s X299 launch? Do you think they’ve dropped the ball here, or are they still the go to option for high performance CPU’s despite all of this? Let me know in the comments!